June 11, 2015 - PRLog -- NEW ORLEANS, La. – Harvest Trends®, a leader in casino data analytics, has hired marketing consulting firm J Carcamo & Associates to assist with the launch of their new contact management solution for casino hosts, PowerHost CRM™. 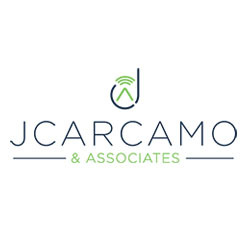 J Carcamo & Associates is a full-service marketing consulting firm of experienced marketing and branding professionals that serve a variety of industries including gaming & hospitality, entertainment, real estate, CPG, and B2B. The firm provides consulting and complete project management, with both strategic and tactical services to this diverse client base. For more information about J Carcamo & Associates, visit http://jcarcamoassociates.com/. For more information about PowerHost CRM and Harvest Trends, visit www.harvesttrends.com.